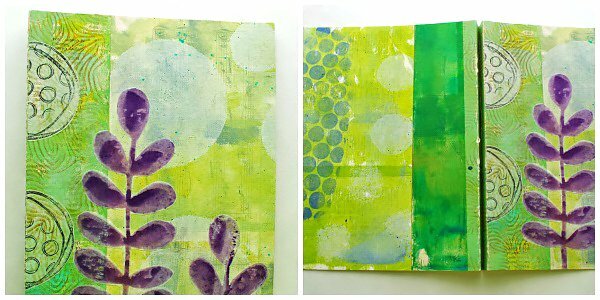 Mary B created a Double Pamphlet stitched notebook with a gelli print cover (see tutorial here) to use at her book club. I love the deli paper accents she included and the stamping on the pages. You can check out more of Mary’s work on her blog, Me With My Head in the Clouds. 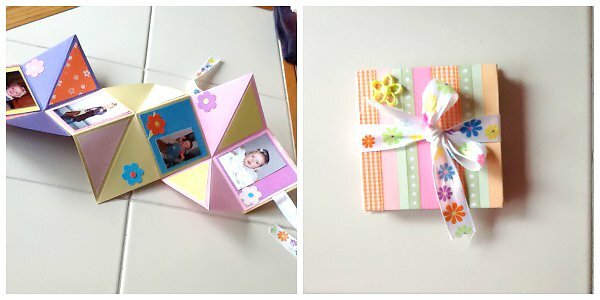 Mandy A made this adorable fold out book for her granddaughter’s birthday party. She made it a while ago, but it’s similar to the Dragon Book I made a few weeks ago. 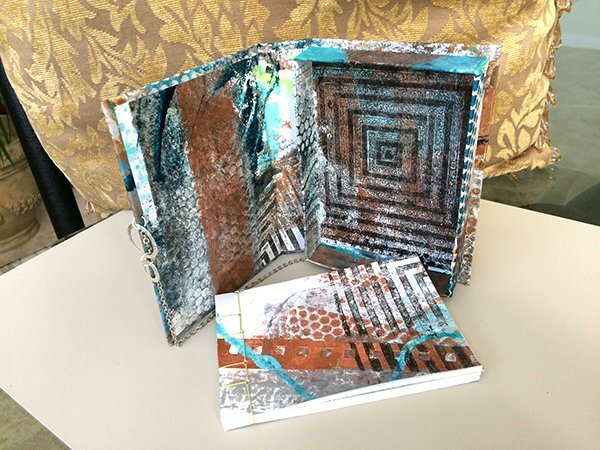 And finally, Linda S created this wonderful gelli print covered box and book – don’ you love those rich earth tones paired with the teal? Gorgeous! 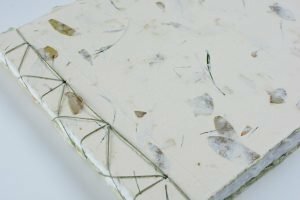 If you’ve made a book inspired by something you read on the blog or a tutorial you followed, please leave a comment, drop me an email alimanning@charter.net or leave message on the Facebook page – I’d love to share your work. What a pleasant surprise to open your newsletter and see my own notebook in it. Thank you Ali! And thank you for so many wonderful tutorials. Book making is so addictive! I was pleasantly surprised as well … next time I will take my time to get better photos …lol. I so enjoy your books and your comments. You have been a genuine inspiration for me to move through the next phase of creativity … making books. Enjoy your new space in the building. I thanked you offline but want the record to show how much your support means to me. I was able to share your post with the owner of the “Robin” book. It makes a story she can share.